Fitness Chat has rounded up 10 of the best personal trainers/coaches in South Africa. These fitness gurus are by reputation highly sought-after and are known to sculpt bodies to absolute perfection. With the New Year fast approaching, new fitness goals will be set by almost everyone. People will be needing to lose weight, some will be prepping for fitness competitions, while others will be training in order to just look great naked. Either way, finding a fitness trainer who is a badass with a proven track record to help you reach your goals, will be essential, should you wish to hire one. You have to agree that it is becoming increasingly hard for people to distinguish who really is a legit fitness trainer/coach, and who isn’t. This is because the fitness industry is today flooded with fitness trainers/ coaches (especially online) offering wild broscience fitness advice. Read on, get to know what makes these fitness gurus tick, how they work with their clients and if you want that fit bod you have always envied, make use of this list! *Fitness Chat would like to thank Adrian Morgaas of IronTribe.co for his invaluable assistance with putting together this list of elite trainers. 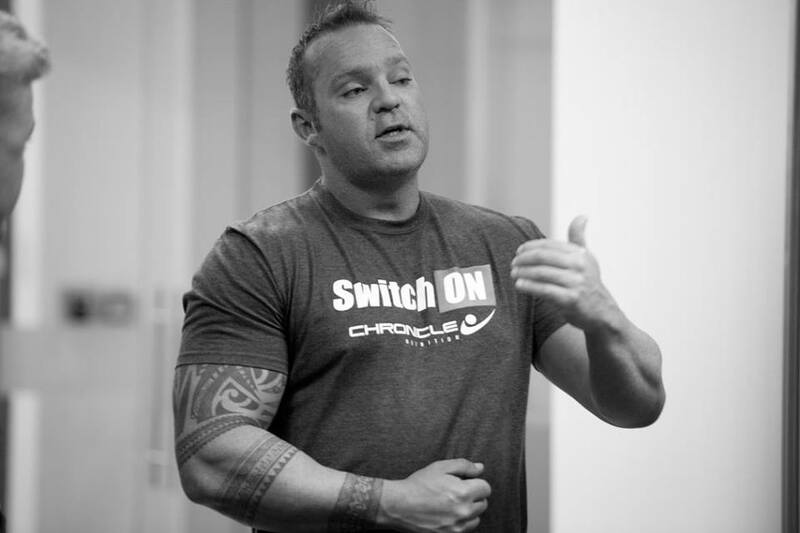 Craig Brown is an online coach, fitness writer and national spokesman for Chrome supplements stores. He specialises in nutrition and training and owns CSB Body Fusion, an online personal training business. Craig’s clients are largely in SA, with a fair amount dotted around the globe – from United States, UK, and Switzerland, all the way to Singapore. Often, it is Craig’s clients that are in the limelight, than Craig himself. A number of his clients have been featured in various publications for their amazing results and life changes, whether it be on stage or body transformations. “Haha, I never really think of it that way, though it is an honour to be recognised, for sure. I just put my head down and try to always improve my knowledge and service to my clients. At the end of the day, it’s about them, not me. I’m surprised actually because marketing myself has never really been important to me. Being a fitness coach has always been about helping individuals reach their goals, and this includes athletes and the average guy”. Craig Brown believes it is important to develop a good relationship with clients and have solid communication, though he says, this differs from client to client, as some people are more reserved than others. “Honesty and trust are key. These two elements allow me to do my job as a coach in the most effective way. Nutrition and training advice is one thing, but a coach’s true job, well for my clientele, at least, is that of a problem solver. A lot of my role is working with the behavioural and psychological aspects of weight loss and helping people work through the barriers preventing them from losing weight long-term and keeping it off”. For someone who has been lifting since the age of 13 and understands the ins and out of the fitness industry based on experience alone, Craig emphasises that qualifications, and importantly, continued education, are vital to him. “I am also constantly attending seminars and webinars related to anything nutrition or training-based, like the science of female fat loss, which was a recent one, as well as many others on a monthly basis. The more I know, the more I realise I do not know. I always say if a new learned piece of information doesn’t open up another 5 new questions it wasn’t worth knowing. So, I am constantly looking at avenues to expand my theoretical knowledge and then gain experience with it by applying it in practice”. “Being consistent, I think. I have values that are very dear to me: to be honest, to attach integrity to everything I do, and to always do my best for every client using the full breadth of my theoretical knowledge and hands on experience at any given time. Being consistent in all of that, day in and day out has been the biggest contributor to where I find myself today. I have also found my niche and have put all my effort into learning as much about that niche as I can. I still have a long way to go, however. There are many fine coaches on this list. I find it very hard to say who the best is and rate the different coaches. We all have our niche that we excel at – I think the best coach is relative to a certain client – we can’t all be what everyone needs. I am just honoured to be mentioned among the other people here”. *At the time of publication, Jack Lotter and Andrew Hudson were not available for interview. 50-year-old Victor Alley is a certified personal trainer, bodybuilder, tattoo artist, qualified hypnotist and graphic designer, and has 25 years’ experience as a fitness coach. Victor is married to fitness competitor Irene Alley (she just recently won her 16th SA title), and he owns Alleysway Fitness Centre which uniquely has a tattoo shop right inside. Victor is famous for taking his clients from ground level and turning them into champions, not only on stage but also in everyday life. Locally, Victor has been featured on various TV talk shows, been published in the papers and was recently featured in Muscle Evolution magazine. Internationally, Victor has travelled a couple of times to Mauritius, where he has been offering fitness talks as well as training athletes. “I am very grateful to be thought of that way. It is humbling to know that all my effort over the years that I’ve put into my sport and given to my clients is being recognised. I keep my eye on my business and my clients and I do not concern myself with what any of the other coaches are doing. As long as my clients are getting the results, that’s all I need and that’s what makes it all worthwhile. All my clients are a product of their own hard work and my knowledge”. Victor considers each of his clients to be as important the next one, whether their goal is to win a pro card or just get into shape and be healthy. “I’m very straightforward with my clients and tell them exactly how I feel about their progress or non-progress. If they are putting in the effort, I let them know how happy I am with what they are doing and if they not making progress they get to hear from me too. I do understand that for some it’s really tough trying to change their lifestyle so I try and encourage and motivate where I can. All my clients have my WhatsApp number and I answer every single message within 24 hours. I know what type of service I would want if I were in their shoes, therefore, I offer exactly that kind of service”. “Servicing every client is important. I look up to the best international coaches to keep me up to date with what’s going on in the industry. I read medical books to get a better understanding of things. I train, I diet, I compete, and I do it first before I give it to any of my clients”. 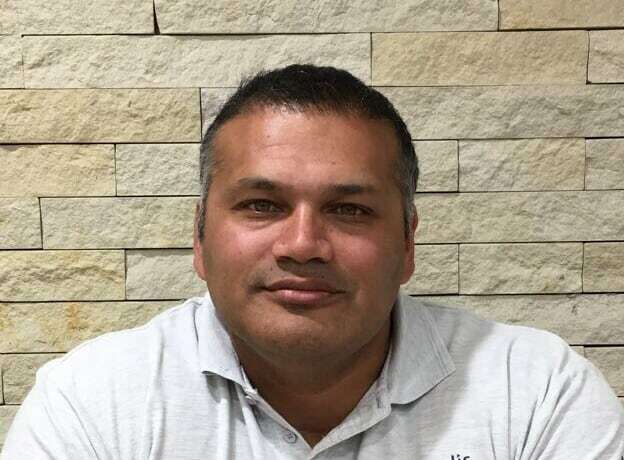 Apart from his passion for training and nutrition, French/Mauritian born Nick Robert has a corporate background in sales and brand management. Nick owns an online fitness outfit called East Coast Transformations and a Kauai franchise. The 30-year-old has 10 years’ experience in nutrition/training and competitive athlete protocols. Nick considers himself a service driven individual that never shies away from giving the best service to clients in order for them to achieve the best results. Nick has been featured on Fitness His edition front cover, Fitness 101 front cover, among others and has numerous supplement sponsors. “It is an absolute honour at the age of 30 to be considered as a solid and stable trainer/online coach in the South African fitness market. I expect to be internationally recognised within the next 5 years as a high-end online coach. I have so much to still learn but I am willing to grow from strength to strength”. Nick prefers doing business on a personal level, that is, “a business should relate to people that want to connect with one another. A business should understand why people train or diet in a specific way and most importantly the clients should receive the services they are paying for. Too many coaches out there believe in having more numbers, than offering quality service. Unless one has a large coaching facility and staff to match, one can never keep up with each individual’s goals. I believe in quality over quantity, engaging with the needs of my clients, interacting with them on a daily basis and growing with them. Life is all about connecting with people and if you throw positive energy and love into the equation your clients will want to stay, and work towards current and future goals. We are a family and not just a business and that is what I want to continue building on”. IMM degree, Honours BBA and NSM advanced Nutrition diploma. “I believe in building and not burning bridges. I also don’t focus on anyone but myself and the people that are part of what I am building. I do what I do with humour and a humble attitude. Life is not always about getting ahead but about who is making the best possible influence on your life, your family and your business”. Julian Naidoo offers a variety of fitness services some of which include online coaching for fitness competitors/bodybuilders, one on one training if required and writing articles for magazines. Over the years Julian has helped hundreds of athletes (men and women) achieve success and place well on the international and national circuit. 19 years ago, Julian started coaching bodybuilders. He started off initially with coaching three males who later did him proud nationally as well as internationally on stage. Since then, the former bodybuilder been responsible for helping people achieve their physical transformation goals. Julian’s clients include all types of athletes, and corporate executives/businessmen. “I am honoured. It’s a privilege to be counted among the industry best as there are many good trainers in our country”. Julian owes his success to the passion that he always puts into the work he does with every client; the passion which he says hasn’t changed since the day he started coaching. Apart from that, Julian is always broadening his knowledge by studying further as well as thinking out of the box when it comes to concepts and methods of achieving results. Anyone who has the Midas touch in any industry they set foot in, deserves to be dully recognised. Tanya de Lange turns whatever she touches into gold. This is evidenced by the awards she won both locally and internationally at a very young age during the 11 years she spent in the corporate world as an art director in advertising. Today, in a completely different environment, Tanya de Lange is excelling as a celebrity trainer and owner of two businesses; Forza Executive Fitness, a premium training facility in the heart of Sandton, and ShapeShift Online Body Transformations. Although to date Tanya has competed in 12 bikini/ fitness bikini competitions, she hadn’t always been fit. The corporate world demanded more from her than she could cope with, and that slowly took a toll on her body, leading to stress depression and weight gain. Eventually, Tanya decided to change her lifestyle. She hired a personal trainer, took back control of her life, set and smashed fitness goals, leading to her amazing transformation. Two years ago, Tanya left the corporate world to get into fitness fulltime and since then her presence in the fitness sphere has had a tremendous effect on the many lives she has helped change as an elite trainer. Jade Roberts is a certified personal trainer and chef, a triathlon coach and has been a professional cyclist since the age of 18. 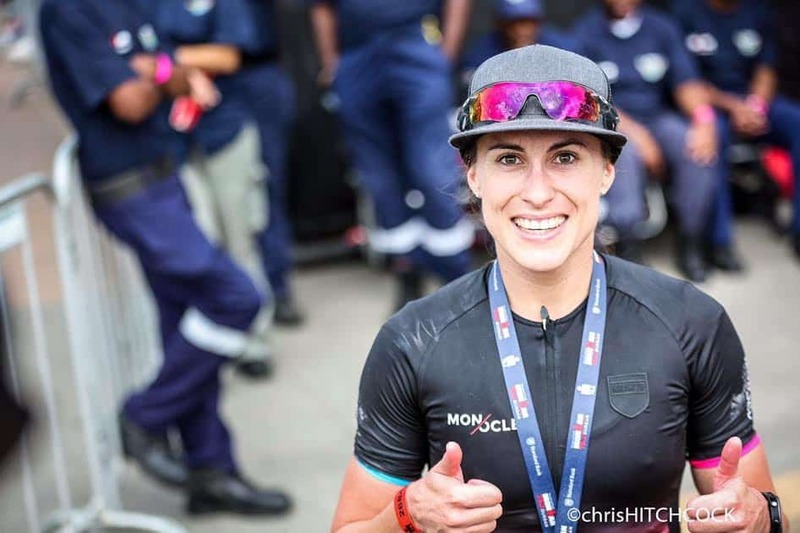 Currently, she works as a personal trainer at Virgin Active Classic Collection gym in Sandton and additionally offers triathlon coaching and advice for beginners to competitive athletes. Jade has been participating in triathlons since 2015 and has strongly been progressing in the sport. She placed 7th overall and 1st in the 25-29 age group in the East London 70.3 Ironman 2017, finishing at 5:06:00. She also was the 1st female overall winner of the Durban 70.3 Ironman, 2017. “I have an amazing relationship with my clients, personally and professionally, who are all dedicated to their individual goals. We sit down and discuss what they want out of the sessions with me. I focus on sports specific training, as most of my clients are athletes outside of the working environment, which is exciting because this is what I do every day of my life. “Personal training is more than just putting someone through a gruelling workout, it’s learning how to become a mentor, a motivator, and a friend. I recognise my strengths as a trainer and use it to my advantage to focus on catering to my client’s specific needs and lifestyle. The fitness industry is forever changing, so I educate myself as much as I can to learn, improve and evolve. It’s about being continually learning and ensuring I focus on bringing my best product”. Originally from Ireland, Sports Scientist Adam McConnell has been living in South Africa for six years. 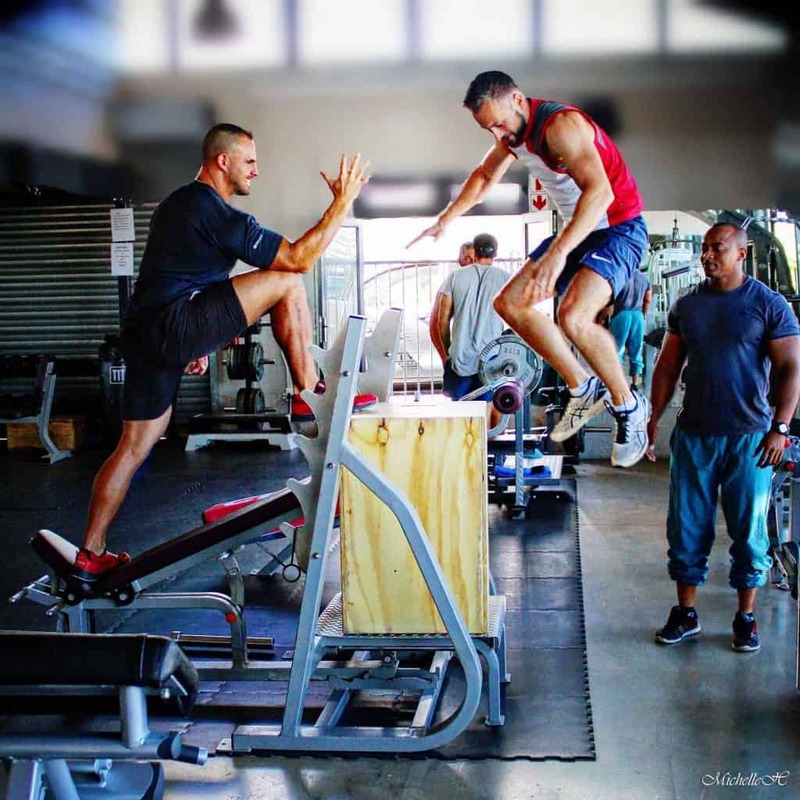 Adam has accumulated almost a decade of experience in the health and fitness industry, seven of which have been in exclusive health clubs in London, while the other three have been as a self-employed personal trainer in Hermanus, Western Cape. During his time as a personal trainer, Adam has developed a great portfolio of training knowledge and techniques that suit most clients. The experience that Adam has derived from working on the portfolio has helped him develop structured programs for many specific requirements, such as fat loss, weight loss, muscular development, whether it be bodybuilding, strength building, endurance, as well as general cardiovascular or sport specific fitness. Adam works very closely with his fitness centre’s in-house biokinetics specialists and together they have had great success with several rehabilitation clients. Adam acknowledges that there is more to being a personal trainer than just developing exercise programs and putting people through their paces. “As fitness trainers, we develop close relationships with each of our clients, befriending them to the point where we become trusted advisors, counsellors and, if need be, a shoulder to cry on. Post-Graduate Certificate Sport & Exercise Science. “Knowledge is key and hard work pays off. I don’t profess to know everything there is to know about health and fitness but I strive to constantly better myself and my knowledge base so I can continue to tackle everything that is thrown at me by my clients. Also, in a town like Hermanus reputation is everything. If you have a bad reputation here, in any business, then you will fail very quickly. I have developed an excellent reputation for helping people get the results they need and have consequently become known as one of the best trainers in town. Camella Sanders is a 27 years old online coach who has been in the business of helping women and men reach their health and fitness goals since 2014. Camella specialises in managing illnesses such as diabetes, PCOS and insulin resistance. Camella managed an all women health club for two years and got into the health and fitness industry at the age of 20. After becoming officially qualified in 2015, Camella decided to expand her online coaching business by taking on more clients. I agree that it’s important to choose a trainer with the right qualifications . These trainers all seem to know exactly what their clients need and how to help them achieve their goals . This is an impressive list. I didn’t realize how much education these trainers have – it makes me want to work with someone who really knows what they’re doing! These trainers really know their stuff! They have great certifications and educations. I admire their dedication! I’m always interested to learn about fitness trainers and the different approaches they use to work with and motivate their clients. I especially enjoyed reading about Jade Roberts and her motivational and optimistic approach to training. Choosing a trainer is such a personal thing because there can be so many emotions tied to weight loss. I really like Camella’s attitude. It’s all about communication and encouragement! Wow! This is an impressive list! All the education is quite an accomplishment. I love reading about some of their motivational approaches to the training. Very cool to see their accomplishments. Looks like they would be great to train with! Wow, these trainers have definitely earned their spot on this list! It’s so interesting to read their stories and see how much work, training/education, and dedication goes into becoming a trainer – also love the passion they have to help their clients! Wow this is so informative! Definitely so important to pick the right trainer for what goals you are trying to achieve. I thought to share that I am a rehabilitation client training with Adam McConnell. For 20 years I have struggled with a neuro muscular condition caused by a low intracellular potassium that caused muscle weakness and collapsing. This condition cannot be controlled or fixed by the administering of potassium, either intraveneously or orally, as these aggravate the problem. The fact that potassium is a mineral and an electrolyte makes this story more of a story. Moving on – due to all the collapsing (up to 12 times a day at worst), I caused an injury to the illial sacral ligament/s. This injury caused me to lose momentum on a previous two year rehabilitation effort (bodybuilding based) I embarked on, two years prior. Anyway to shorten the story, after 18 months with a chiro, and a stint at the biokineticist, I was blessed to be referred to Adam. I have been working with him for this last year and he has persevered with me through the collapsing, the blank stares when the neuro paths dont open up straight away; the energy lows when the potassium isnt enough; the spastic walking motion after squats and lunges; the spiked energy days when I am overcompensating because life is beating me up….and the new injuries because I did something stupid on my own time. Because of his depth of knowledge and understanding of the anatomy and physiology, somehow he manages to keep training me around and through the challenges . I so appreciate his professionalism and that he treats me as a normal function person, believing with me that I can present as normal. I am so grateful to have someone telling me what to do ( I get mentally tired especially because some days I have to concentrate to keep upright). I am seeing stabiliser muscles I have havent used for years come alive and atrophied muscles start taking up their load. What inspires me is that this round of rehab wont fizzle and end like before, because someone (Adam) with an ability to manage the big picture , with all its miniscule detail, is watching over it. Thank you Adam. PS sounds sooooooo serious…but all this stuff fortunately doesnt set the tone of the training sessions…there is much laughter!